When winter comes around, all I can think about is hot drinks and tons of hearty soups and stews. Something about the cold weather makes me want to feel as warm inside as I wish I felt outside (dreaming of those Caribbean beaches right about now). One way to map your winter eating patterns is to look toward this holistic approach: Ayurveda. Ayurveda is a medical system founded in India over five thousand years ago. The word Ayurveda means “life science” and is rooted to each human being’s connectedness to the world around them. The practice follows the belief that our body’s constitution (prakriti) is in tune with life forces (dosha) and thus, we should be following conscious lifestyle choices to make sure both are balanced. The ultimate goal is to ensure we live long, healthy and enlightened lives. In Western medicine, many are looking into using traditional Ayurvedic techniques in conjunction with Western treatments. In terms of your winter diet, it’s important to know what your main dosha is — either vata, pitta or kapha (you can take a quiz to figure this out.) Those with a high vata dosha tend to be light and cold, whereas pittas are hot and sharp. Kapha is rooted in the flesh and is focused on being steady and oily. Many of the doshas descriptions are linked to digestion and food, which is no coincidence. Ayurveda is heavily rooted in what we are nourishing our bodies with. To keep your doshas in balance, it’s important to do the opposite. So let’s say you are more vata. You should eat very warm, hearty dishes in larger portions. Kapha’s are the same except for smaller portions. Pittas might need to cool down with some fresh fruit and raw vegetables. There are many great resources that describe Ayurvedic eating habits and why they matter. Essentially, winter is a great time to make sure that your kapha and vata doshas are balanced, especially if those are dominant in your body. Here are some Ayurvedic recipes that will warm your body and balance your soul because after all, don’t we all want our mind, body, and soul to feel nourished? Lee From America posts some phenomenal-looking creations on her Instagram that look as delicious as they taste. One of my personal favorites is her nourishing stovetop oats, which are perfect for chilly mornings where all you want to do is lay in bed. Fiber-rich foods are an essential part of a winter Ayurvedic diet to support intestinal health. Adding a little bit of coconut oil or ghee will give a dose of necessary fat to insulate your body. I. Love. Kitchari. There are so many variations on the internet that you can test in the kitchen, but this is my favorite because all of the ingredients can be found at any grocery store. 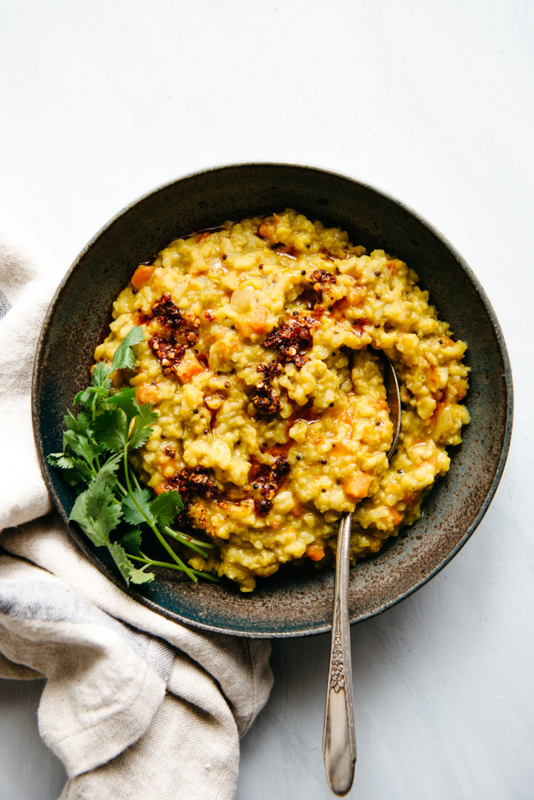 Kitchari is a staple recipe in Ayurvedic living because of how easy it is for the body to digest. Staple ingredients include moong dal (if you can’t find this, any lentil variety will do), basmati rice and spices like turmeric and mustard seeds. You’re welcome to add a spoonful of ghee for more healthy, nourishing fat. It also contains essential nutrients the body needs to repair and rebuild come spring. It’s almost foolproof to make and tastes like it’s been simmering for hours. 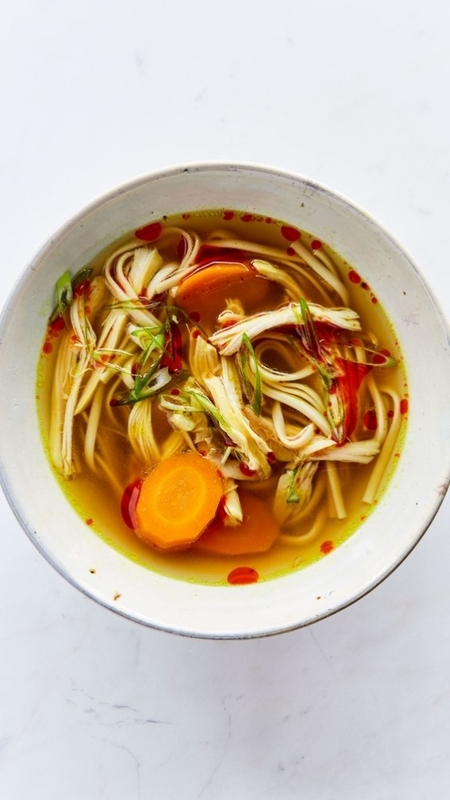 Everyone loves a steaming hot bowl of chicken noodle soup on a cold winter day. It’s like peanut butter and jelly, burger and fries. You just don’t mess with what works. This delicious twist on the classic includes ginger and turmeric, which are great anti-inflammatory ingredients. This may seem a bit too…easy. I get it. 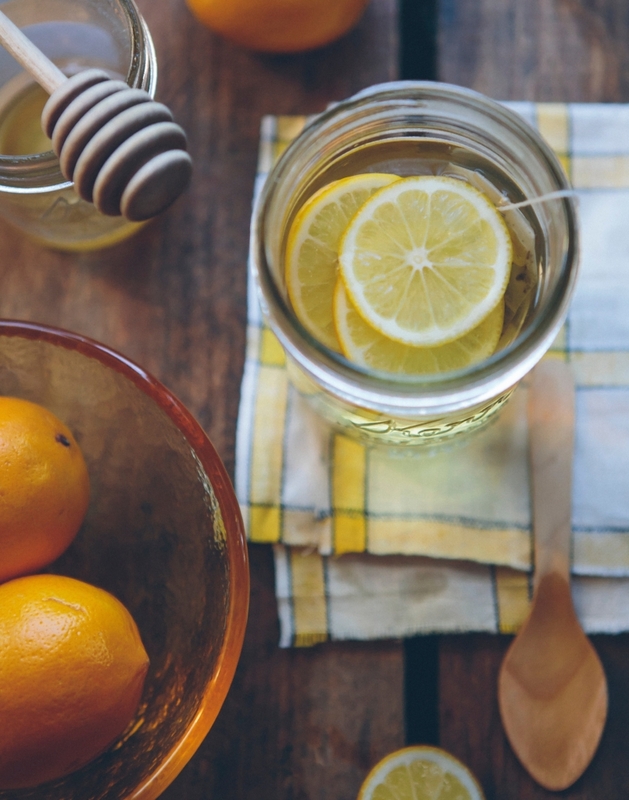 Hot water with lemon and honey isn’t a recipe, but it’s an essential part of an Ayurvedic diet (particularly when you drink it). At least 20 minutes before you eat breakfast, drink a cup of hot water with the juice of a lemon and a teaspoon of honey. The combination will get your sleepy digestive system activated and ready to digest an entire meal. This practice will clear the digestive system of any toxins that may build up overnight in the liver. 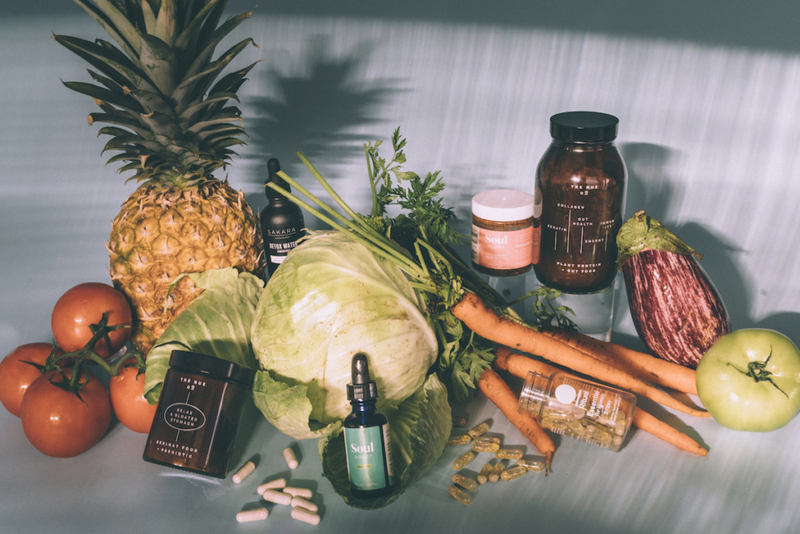 Whether or not you believe in Ayurvedic practices, it’s important to tune in to how your body is feeling and why, especially during these harsh winter weather months. 23-year-old Sagittarius who constantly craves panang curry and deeper conversations about how to feel OK 80% of the time. 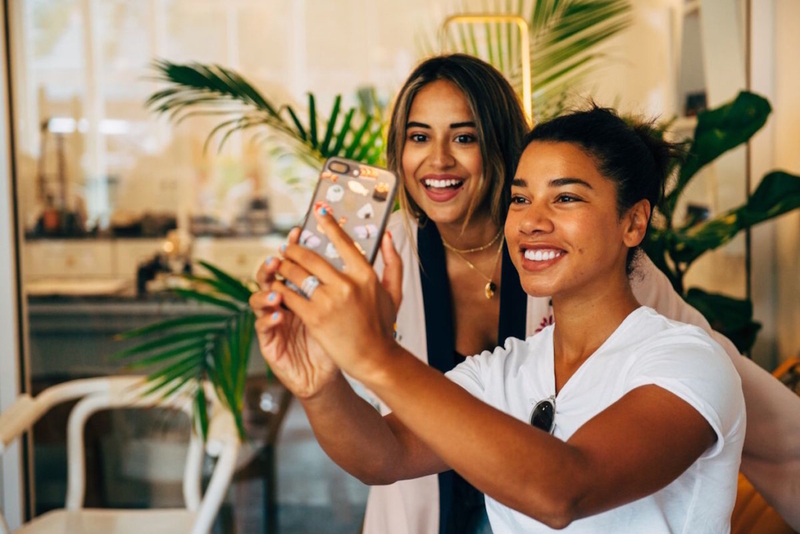 Is 2019 the Year You Quit Your Job and Follow Your Dreams?